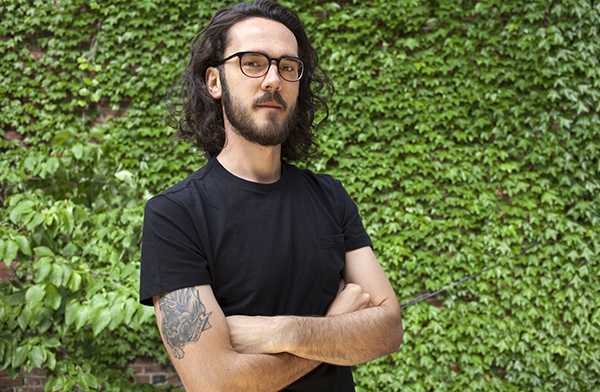 Caleb Johnson is the author of the novel TREEBORNE-- an honorable mention for the 2019 Southern Book Prize. Johnson grew up in Arley, Alabama, wandering the dense woods on his grandparents' property near a manmade lake. He studied journalism at The University of Alabama and earned an M.F.A. in creative writing from the University of Wyoming, where he studied fiction with acclaimed authors Alyson Hagy, Brad Watson, and Joy Williams. His writing is forthcoming or can be found in Southern Living, The Paris Review Daily, The Bitter Southerner, and other publications, and he has been awarded a Jentel Writing Residency, and a Walter E. Dakin Fellowship in fiction to the Sewanee Writers' Conference. Prior to joining the faculty at Appalachian State University, Johnson worked as a newspaper reporter, a janitor, a non-profit administrator, a middle-school teacher, and a whole-animal butcher, among other jobs. Currently, he lives on a former horse farm with his wife, Irina, and their dog, Hugo, while working on his next novel.